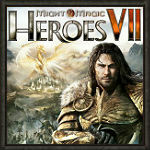 While we here at HoMMdb.com have been on small hiatus for the past few months, Ubisoft and Limbic have been continuing their support for Might & Magic: Heroes VII. Here is a brief summary on what has been going on lately in the world of Heroes. Patch 1.8 introduces several fixes and improvements, and the second part of The Lost Tales of Axeoth is released. Ubisoft releases a small modding guide with instructions on how to use the The Lost Tales of Axeoth content on custom maps. Patch 2.0 introduces the long-awaited features, random skill revision and ingame random map generator, among other improvements. A standalone expansion pack Trial by Fire featuring a new Fortress faction is announced. Might & Magic, Heroes, and Ubisoft are trademarks of Ubisoft Entertainment in the U.S. and/or other countries.